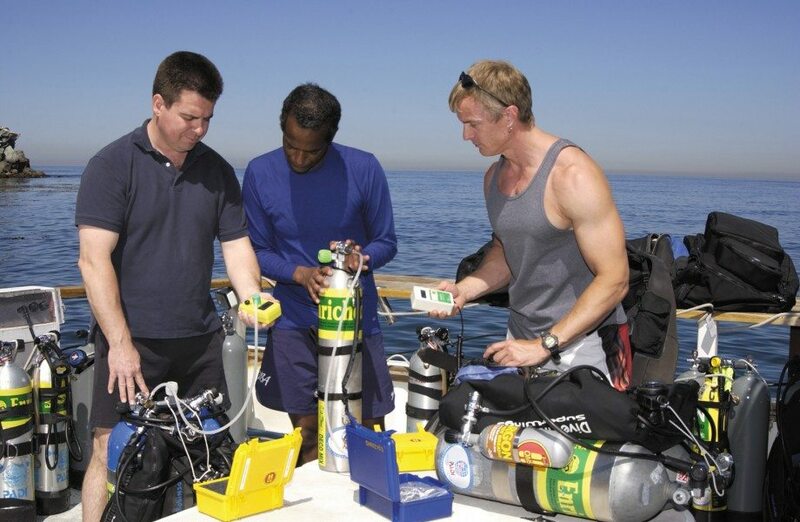 Are you actually not very sure how your dive equipment works? Would you like to be able to handle small equipment problems as a real professional? The PADI equipment specialty course is an excellent way of becoming aware of how modern dive equipment works, how to take care of it and how to solves problems. We discuss the theory, principles and operation of dive equipment and you also will have the oppertuinity to assembly and disassembly a range of different brands of Scuba gear. Suggestions for comfortable equipment configurations and an introduction to new equipment is also part of this course. You don’t have to be a technical minded person to sign up for this course. This is a very important course for anyone who bought his own equipment, wants to become a dive professional or who is just interested in how dive equipment works. This speciality certification also counts as 1 of 5 speciality certifications required for your Master Scuba Diver certification. The course price includes your tuition, PADI course materials, PADI registration and dive card.